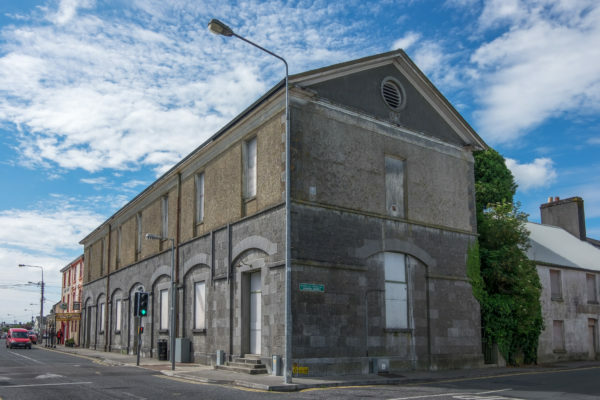 Loughrea’s Town Hall was built in 1862, on the site of a former Linen Hall. The Irish National Theatre Society, invited by Fr Jeremiah O’Donovan, performed Deirdre, a legend in three acts by Æ (George W. Russell) and The Pot of Broth, a farce in one act by W.B. Yeats at the Town Hall on Easter Monday 1903. The conversion of the town hall into a cinema, theatre and ballroom took place in the 1930s. Loughrea Town Hall and Cinema closed in the late 1980s.